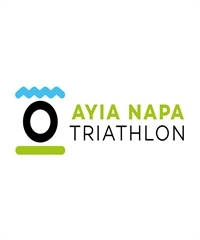 Ayia Napa race is the most prestigious and biggest triathlon competition in Cyprus. The course is flat and fast and together with the incredible scenery guarantees a unique experience. Great location, crystal clear waters and sunny weather makes this event the perfect choice to start the race season as early as in March. Ayia Napa Triathlon is for everyone, either a beginner or a pro athlete. The organizer: Nireas Triathlon is the primary and longest established triathlon race organiser in Cyprus. Nireas Triathlon started 23 years ago with a small group of passionate athletes who set out with the aim of making Nireas the first point of reference for the sport in Cyprus. Our mission is to organise high quality events in order to expand triathlon locally but also to build Cyprus as a first choice destination for overseas athletes. Nireas Triathlon now offers a series of quality races attracting hundreds of athletes including some of the sport’s top names. Every Nireas race is an exciting new challenge.